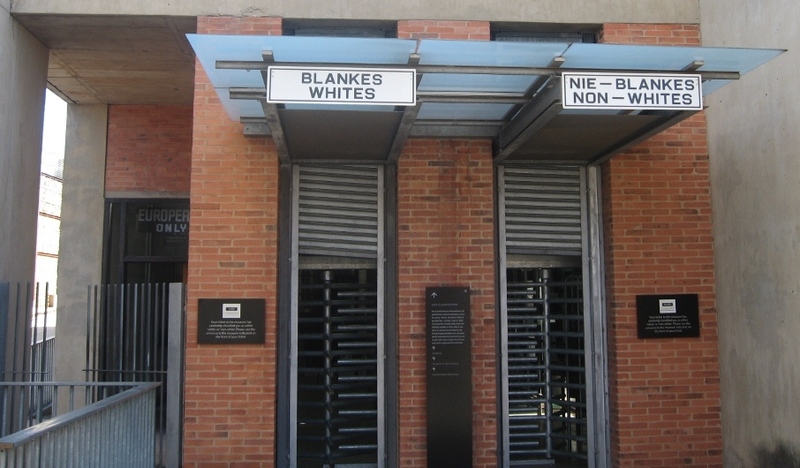 Can the Development Community catch up with Nelson Mandela? Op-ed essay originally published by the Communications Initiative (CI) on 12 Dec 2013 and reprinted in Ceylon Today newspaper on 17 Dec 2013. 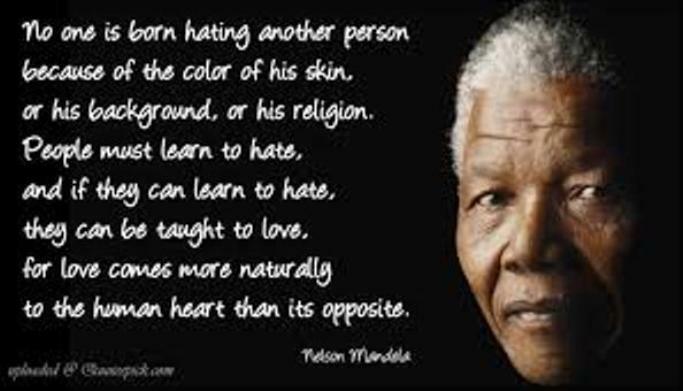 Nelson Mandela was not only an effective communicator, but also a champion of communication for development. He spoke and wrote with conviction and empathy, which in turn enhanced his credibility and appeal. He changed history with his careful choice of words and images delivered with the right degree of passion. Social communicators can learn much from him. However, his communications prowess extended beyond thoughtful prose and skillful oratory. He also understood the power of mass media in today’s information society — and used it well for nation building. When they are in office, many political leaders of the majority world tend to overuse or misuse the media, for example by forcing public broadcasters to peddle ruling party propaganda. During his term as South Africa’s president, Mandela carefully avoided such excesses. Instead, he strategically tapped the country’s pluralistic broadcast media to unify the divided nation. Clint Eastwood’s 2009 movie Invictus re-enacted a highlight of that approach. 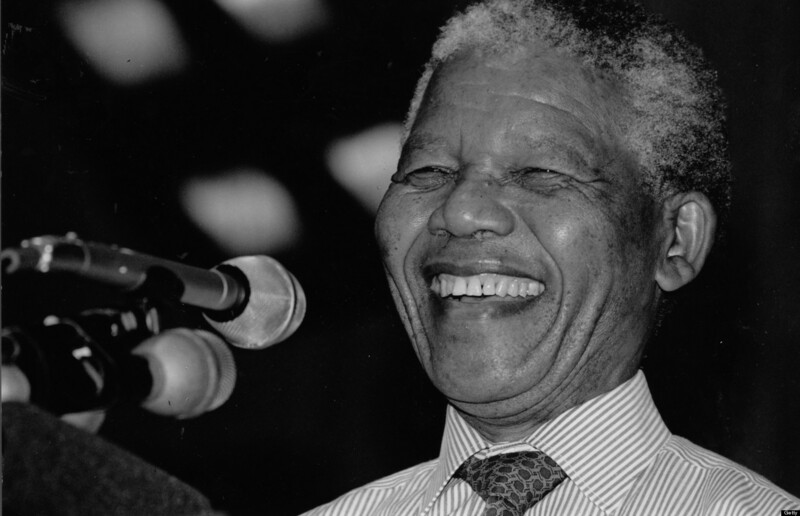 As a policy maker, Mandela grasped the role of communication in development – both the concepts and delivery tools. He promoted the use of information and communications technologies (ICTs) as part of socio-economic development in Africa and elsewhere. The International Telecommunications Union (ITU), the UN agency promoting and tracking the progress of information society, recently saluted Mandela for having been a firm supporter of ICTs as a catalyst for social change and economic development. At the same time, Mandela’s vision went beyond mere gadgets and telecom networks. Speaking at the ITU Telecom World in Geneva in 1995, he underlined the importance of communication and access to information to human beings. 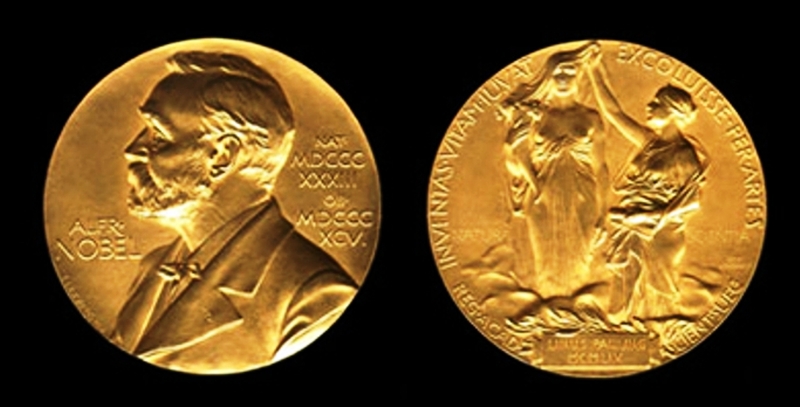 He called for eliminating the divide between information-rich and information-poor countries. Lofty statements like these are common at policy gatherings. But Mandela went further – and believed that communication should be seen as a basic human need. That set him apart from many members in the development community who have long considered it a secondary need. Although it has been discussed for centuries, there is no universally accepted definition of basic human needs. During the 1970s, basic needs emerged as a key topic in development debates. Various studies — catalysed by UN agencies and the Club of Rome – tried to define it. 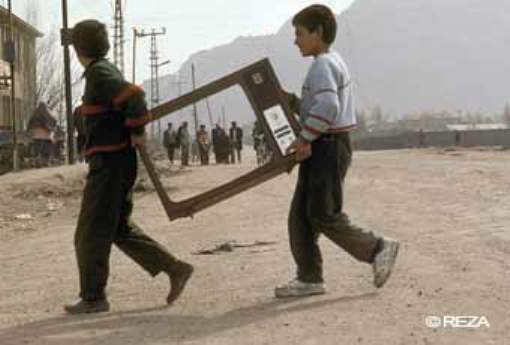 In 1976, the International Labour Organisation (ILO) prepared a report that identified basic needs as food, clothing, housing, education and public transportation. 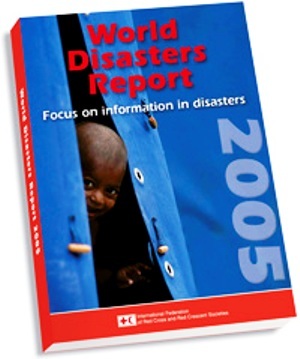 It partially drew on ILO’s country reports on Columbia, Kenya and Sri Lanka. Since then, different development agencies have adopted variations of the original ILO list. National planners have used the concept to benchmark economic growth. The ground reality has changed drastically since those heady days. 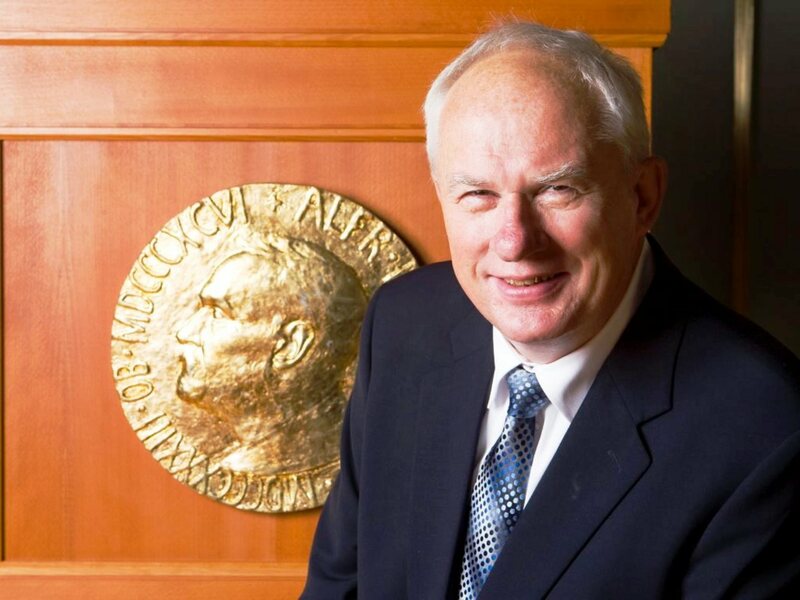 About a year ago, I asked Frank La Rue, the UN Special Rapporteur on Freedom of Opinion and Expression, if communication should be considered a basic human need. 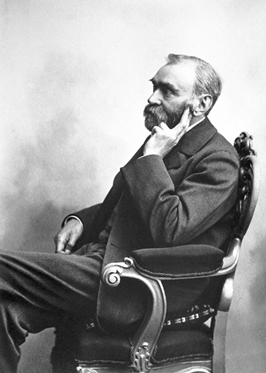 He welcomed the idea, especially in view of rapid evolution of information society. I soon found that Mandela had thought of it years earlier. Perhaps because he had such limited access to communication during his long years in prison, he appreciated its central value to all human beings. That remark, made while opening a mobile telecom network, was rather perceptive. 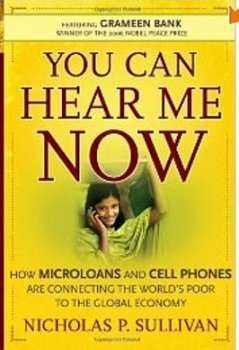 At the time, less than 1 per cent of all Africans had access to a fixed phone, and there were only around one million mobile phones on the continent of 800 million. 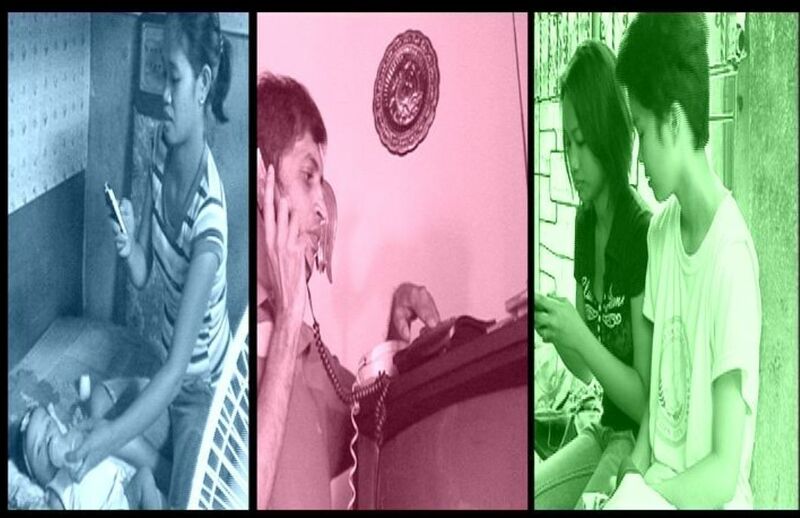 It’s high time we revisited basic human needs and redefined them to suit current realities. The development community must finally catch up with Nelson Mandela. Science journalist and development communicator Nalaka Gunawardene has been following social and cultural impacts of ICTs for over 20 years. 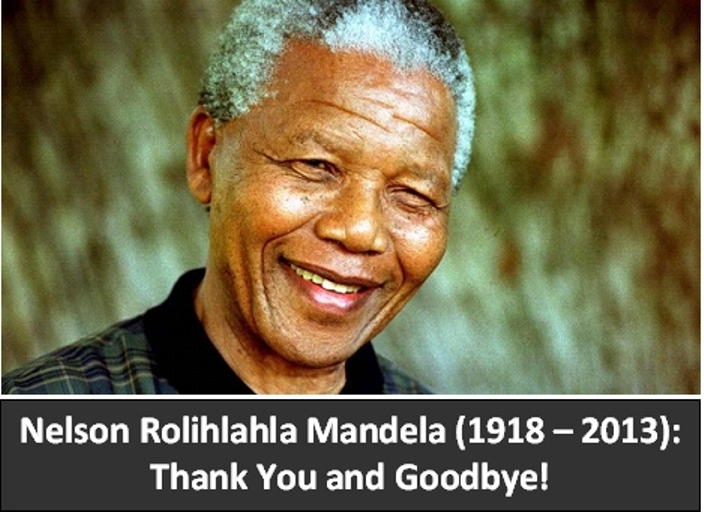 Nelson Rolihlahla Mandela (1918 – 2013): Thank You and Goodbye! 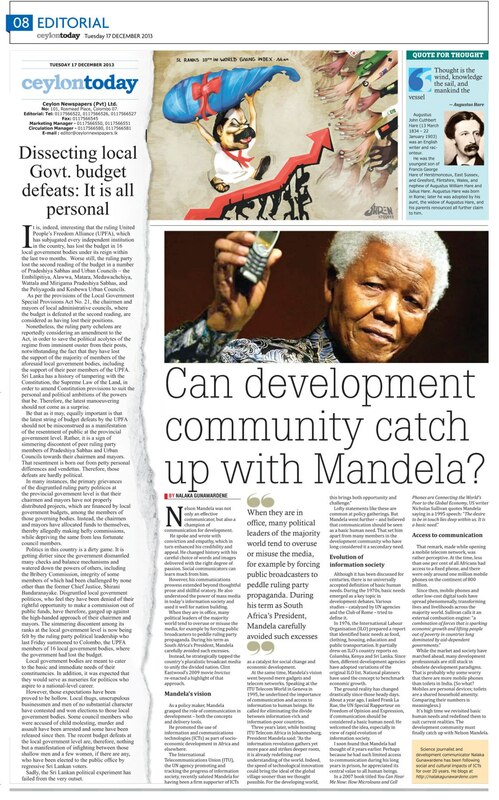 12 Dec 2013: Op-ed essay: Can Development Community catch up with Nelson Mandela? 19 July 2013: සිවුමංසල කොලූගැටයා #126 නෙල්සන් මැන්ඩෙලා: ගමන නොනිමෙයි! 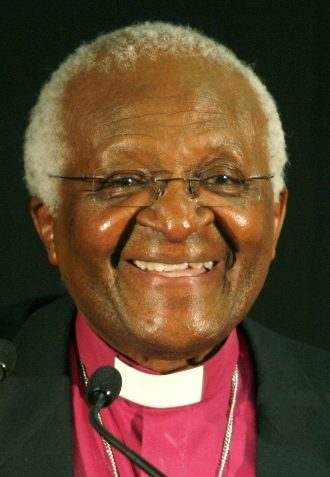 18 July 2013: Waiting for My Own Mandela…not any longer! In my Ravaya column this week (in Sinhala), I look at the role of public intellectuals and artistes who supported Nelson Mandela in his anti-apartheid struggle as well as in forging the Rainbow Nation after majority rule started in 1994. 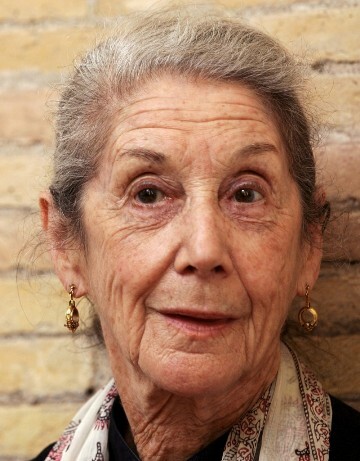 In particular, I look at how the Nobel Laureates Nadine Gordimer and Desmond Tutu critically cheer-led Mandela and ANC. නෙල්සන් මැන්ඩෙලා පරමාදර්ශී ජන නායකයා ගැන නෙතඟ බැල්මක් හෙළමින් පසුගිය කොලමින් මා කළ විග‍්‍රහයට ඉතා හොඳ ප‍්‍රතිචාර ලැබුණා. මැන්ඩෙලා සෘජුව ම ඇසුරු කළ හා ඔහුගේ කථාව ලොවට කී මිතුරන් දෙදෙනකු තමයි මගේ ප‍්‍රධාන මූලාශ‍්‍ර වූයේ. ඈත සිට බලන අපට සද්දන්ත චරිතයක් හා වීරයකු ලෙසට පමණක් පෙනුණත් සමීපව අධ්‍යයනය කරන විට හැම මිනිස් ජීවිතයක මෙන් ම මැන්ඩෙලාගේ 95 වසරක ජීවන චරිතයේත් සංකීර්ණතා, ව්‍යාකූලතා හා පරස්පර විරෝධතා තිබෙනවා. තමන්ගේ චරිතගති හා දැක්ම එක තැන පල් නොවී දශක ගණනක් විකාශනය වූ සැටි මැන්ඩෙලා විසින් ම අවංක හා ව්‍යක්ත ලෙසින් ලියා තිබෙනවා. පරිවර්තන හරහා හෝ ඔහුගේ ජීවන කථාව කියවා මෙනෙහි කිරීම වැදගත්. මහත්මා ගාන්ධි මෙන් ම නෙල්සන් මැන්ඩෙලා ද යුග පුරුෂයකු වූයේ හුදෙක් තමන්ගේ ප‍්‍රඥාව, අධිෂ්ඨානය හා ප‍්‍රතිපත්ති ගරුක වීම නිසා පමණක් නොවෙයි. එයට නන් අයුරින් සම්මාදම් වූ හා පන්නරය ලබා දුන් සහෘදයන්, අනුගාමිකයන් හා විචාරශීලී ප‍්‍රතිමල්ලවයන් ද මේ විශිෂ්ඨ චරිතවල සමාජයීය බලපෑම තීව‍්‍ර කළා. මෙනයින් බලන විට මැන්ඩෙලා හරි හැටි අගය කරන්නට නම් ඔහුගේ සමකාලීනයන් ගැනත් යමක් දැන ගැනීම වටිනවා. දකුණු අපි‍්‍රකාවේ වර්ණභේදවාදය නිල වශයෙන් වසර 50ක් පමණ කි‍්‍රයාත්මක වූවත් (1948 – 1994) එයට තුඩු දුන් අධිරාජ්‍යවාදී හා යුද්ධමය බල අරගලයන් 19 වන සියවස දක්වා ආපස්සට විහිදෙනවා. ඒ ඉතිහාසය මෙබඳු කෙටි විග‍්‍රහයකින් සම්පිණ්ඩනය කරන්නට අමාරුයි. 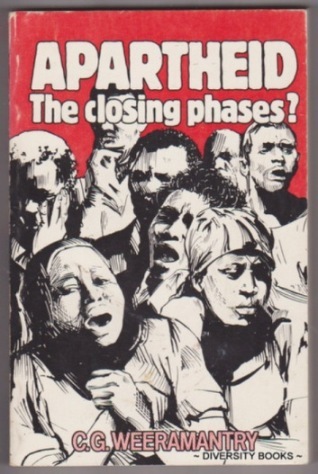 නීතිමය වශයෙන් Apartheid නම් වූ ජාතීන් බෙදා වෙන් කිරීමේ ප‍්‍රතිපත්තිය දකුණු අප‍්‍රිකාවේ රාජ්‍ය ප‍්‍රතිපත්තිය ලෙස නීතිගත කරනු ලැබුවේ 1948 මැතිවරණයෙන් පසුව. එම නීති යටතේ එරට ජනයා කාණ්ඩ හතරකට වර්ග කරනු ලැබුවා. එනම් ස්වදේශික (Native), සුදු (White), ආසියානු (Asian) හා වර්ණ මිශි‍්‍රත (Coloured) වශයෙන්. මේ අතරින් සියඵ පාලන බලතල හා වැඩිපුර ව්‍යාපාරික හා වෘත්තික වරප‍්‍රසාද ලැබුණේ යුරෝපීය සම්භවයකින් පැවතෙන, ඇෆ්රිකානර් (Afrikaner) නම් සුදු ජාතිකයන්ටයි. එයට වඩා සීමිත වූ යම් වරප‍්‍රසාද ඉන්දියානු සම්භවයක් සහිත ‘‘ආසියානු’’ හා ‘‘වර්ණ මිශි‍්‍රත’’ අයට ලැබුණත්, අතිශයින් කොන් කිරීමක් හා පීඩිත තත්ත්‍වයකට බහුතර ස්වදේශික (කඵ) ජාතිකයන් පත් වුණා. මෙය හුදෙක් දේශපාලන අයිතිවාසිකම් පමණක් නොව රැකියා අවස්ථා, පදිංචිය, දේපළ අයිතිය, අධ්‍යාපන අවස්ථා ආදී සියඵ ජීවන අංගයන්ට බලපෑ පුඵල් වූත්, ගැඹුරු වූත් වෙනස්කම් සමුදායක් (discrimination) වුණා. මෙයට එරෙහිව එරට තුළින් හා ශිෂ්ට සම්පන්න මුඵ ලෝකයෙන් ම දැඩි විවේචන මතු වූවත් දකුණු අපි‍්‍රකානු සුදු පාලකයන් තම දරදඩු හා අමානුෂික ස්ථාවරය වෙනස් කළේ නැහැ. රත්රන්, දියමන්ති වැනි වටිනා ඛනිජ සම්පත් හරහා ලබා ගන්නා අතිවිශාල ජාතික ධනය කොටසක් ඔවුන් යෙද වූයේ වර්ණභේදවාදය සාධාරණීකරණය කරන්නට සිය රට තුළත්, ප‍්‍රධාන පෙළේ බටහිර රටවලත් ගැත්තන් පිරිසක් කුලියට ගැනීමටයි. වර්ණභේදවාදයේ කුරිරු බව ගැන පොතපතින් කියවා, චිත‍්‍රපට හරහා තරමක් දැක තිබුණත් මේ අත්දැකීම ඒ අවබෝධය වඩාත් පුඵල් කළා. කෞතුකාගාරයට ටිකට් මිළ දී ගන්නා අපට සැමට තාවකාලික වර්ණභේදවාදී ලේබලයක් ලබා දෙනවා. ඒ අනුව එහි මුල් ප‍්‍රදර්ශන ශාලාවට ඇතුඵ වීමට සුදු සමැති අයට එක් කොරිඩෝවකුත්, අන් අයට තව කොරිඩෝවකුත් තිබෙනවා. මෙය තනිකර ම මවා පෑමක් (simulation). එය බල පවතින්නේ විනාඩියකට පමණයි. එහෙත් සුපර්මාකට් එකකට, අවන්හළකට, කාර්යාලයකට, රෝහලකට ආදී ඕනෑ ම පොදු හෝ පෞද්ගලික හෝ ස්ථානයකට පිවිසීමේදීත්, සේවා ලබා ගැනීමේදීත් සමේ වර්ණය හා අහම්බෙන් උපතේදී හිමි වූ ජාතිය නිසා බරපතල වෙනස්කම්වලට අඩ සියවසක් පුරා මිලියන් ගණනක් දකුණු අපි‍්‍රකානුවන් ලක් වූ සැටි ගැන එය කෙටි සිහිපත් කිරීමක්. මේ කෞතුකාගාරයේ එරට 20වන සියවසේ දේශපාලන ඉතිහාසය හා වර්ණභේදවාදයට එරෙහිව රට තුළත්, රටින් පිටතත් දශක ගණනක් තිස්සේ ගෙන ගිය අරගලය ගැනත් ඡයාරූප හා වාර්තා චිත‍්‍රපට හරහා සංවේදී ලෙසින් මතකයන් අවධි කරනවා. එය කරන්නේ සුදු ජාතිකයන් හැමදෙනා හෙළා දැකීම හෝ අධීරාජ්‍යවාදී යුගයට සියඵ දොස් තැබීම හෝ වැනි සරල, ජනපි‍්‍රය රටාවකට නොවෙයි. වර්ණභේදවාදය නම් වූ නීතිගත අසාධාරණකම්වලට ප‍්‍රසිද්ධියේ විරුද්ධ වූ සුදු සම තිබූ දකුණු අපි‍්‍රකානු ජාතිකයන් ද සිටියා. ඔවුන් අතර ප‍්‍රමුඛ පෙළේ විනිසුරුකරුවන්, සරසවි ඇදුරන්, පත‍්‍ර කලාවේදීන් හා කලාකරුවන් ද වුණා. තමන්ගේ වරප‍්‍රසාද ගැන නොසළකා, මානව සාධාරණත්වය උදෙසා හඬ නැගූ මේ ටික දෙනා ජාති ද්‍රෝහීන් (traitors) යයි හංවඩු ගසා ගැරහීමට, තර්ජනවලට හා හිංසනය ලක් කරනු ලැබුවා. රාජ්‍ය තන්ත‍්‍රයේ බලතල යොදා ගෙන ගිය මේ මර්දනය ඉවසා ගත නොහැකිව ඇතැම් සංවේදී පුද්ගලයන අකාලයේ මිය ගියා. තවත් අය පණ පමණක් බේරා ගෙන දකුණු අපි‍්‍රකාවෙන් පළා ගියා. එසේ රට හැර යන කිසිවකුට තමන්ට පරපුරෙන් උරුම වූ හෝ රැකියාවෙන් උපයා ගත් කිසිදු වත්කමක් රටින් පිට ගෙන යාම තහනම් කර තිබුණා. එබඳු එක් අයකු පසු කලෙක මා දැන හඳුනා ගත්තා. දක්‍ෂ ජිව විද්‍යාඥයකු වූ ඔහුගේ නම අයිවන් හැටිංග් (Ivan Hattingh). සුදු දකුණු අපි‍්‍රකානුවකු වූ ඔහු පර්යේෂක හා සරසවි ඇදුරු තනතුරු අතහැර 1960 ගණන්වල මවු රටින් පළා ගියේ වර්ණභේදවාදයට එරෙහිව මතවාදීව අරගල කිරීමෙන් අනතුරුව රාජ්‍ය මර්දනය දරා ගත නොහැකිවයි. උගත්කම හා හැකියාව නිසා බි‍්‍රතාන්‍යයේ රැකියාවක් සොයා ගත් ඔහු පසු කලෙක එරට පුරවැසියකු වුණා. එහෙත් හදවතින් දිගට ම මවු රටට සමීප වූ ඔහු, වර්ණභේදවාදය නිල වශයෙන් නතර කොට බහුතර ජනයාගේ ඡුන්දයෙන් මැන්ඩෙලා 1994 ජනාධිපති වන තුරු කිසිදා එහි ගියේ නැහැ. මෙබඳු ප‍්‍රතිපත්ති ගරුක සුදු, කඵ, මිශි‍්‍රත දකුණු අපි‍්‍රකානුවන් විශාල සංඛ්‍යාවක් සිටියා. කෞතුකාගාරයේ මා දැන ගත් කරුණු අතර මා කම්පනයට පත් කළ පැතිකඩක් වූයේ රාජ්‍ය තන්ත‍්‍රයේ වර්ණභේදවාදී පිළිවෙත් සාධාරණ යයි තර්ක කරමින් ඒ වෙනුවෙන් රට තුළ හා ජාත්‍යන්තර විද්වත් සභාවල පෙනී සිටි එරට උගතුන්, බුද්ධිමතුන් හා වෙනත් මතධාරීන්ගේ කි‍්‍රයා කලාපයයි. ජෛව විද්‍යාත්මකව, පරිනාමීයව හා සමාජ විද්‍යාත්මකව කඵ සම ඇති මිනිසුන් ජන්මයෙන් ම පහත් බවට මේ අය කෙස් පැලෙන තර්ක හා මතවාද මතු කළා. මෙසේ මර්දනකාරී රෙජීමයට සුදුහුණු ගෑම සඳහා ඔවුන්ට තනතුරු, ධන සම්පත් හා වෙනත් වරප‍්‍රසාද එමට ලැබුණා. අවස්ථාවාදී බුද්ධිමතුන් හා බඩගෝස්තරවාදී කලාකරුවන් එදා දකුණු අපි‍්‍රකාවේ පමණක් නොව අද තව රටවලත් සිටිනවා! මේ නිලමැස්සන් ගණයට නොවැටී, රට තුළ පදිංචිව සිටිමින් රාජ්‍ය මර්දනය නොතකා දිගටම යුක්තිය හා සාධාරණය වෙනුවෙන් පෙනී සිටි විශිෂ්ට සුදු දකුණු අපි‍්‍රකානු කලාකාරියක් නම් නැඞීන් ගෝඩිමර් ලේඛිකාවයි (Nadine Gordimer). 2002 අගෝස්තුවේ මා මුල් වරට ජොහැන්නස්බර්ග් නුවරට ගිය අවස්ථාවේ ඇය සහභාගී වූ විද්වත් සංවාදයක් මා නැරඹුවා. රටේ පාලකයන් සුදු වුණත්, කඵ වුණත් තමා කවදත් විශ්ව සාධාරණය හා මානවයන් අතර සමානාත්මතාවය වෙනුවෙන් හඬ නගන බව ඇය සාවධාන්ව, සියුම් කට හඬකින් කී සැටි මට මතකයි. එවිට 79 හැවිරිදිව සිටි ඇය එදින සවස එනුවර වීදි උද්ඝෝෂණයකට සහභාගි වූයේ මහත් උද්‍යොගයෙන්. 1923 උපන් නැඞීන් ගෝඩිමර් ප‍්‍රබන්ධ රචනා කිරීම ඇරැඹුවේ 1949දී. ඇගේ මුල් ම නවකථාව (The Lying Days) 1953දී පළ වුවා. 1960දී ඇය අපි‍්‍රකානු ජාතික කොංග‍්‍රසයේ (ANC) හා නෙල්සන් මැන්ඩෙලාගේ අරගලයට විවෘතව ම සහයෝගය දැක්වීමට පටන් ගත්තා. මේ නිසා ඇගේ සමහර නවකථා දකුණු අපි‍්‍රකාව තුළ තහනම් කරනු ලැබුවා. එහෙත් ඒ වන විට ඇය ජාත්‍යන්තරව පාඨක ජනාදරයට පත්ව සිටි නිසා ඇගේ කෘතීන් රටින් පිටත දිගට ම අලෙවි වුණා. වර්ණභේදවාදයට මුඵ හිතින් විරුද්ධ වූවත් ANC ව්‍යාපාරයේ ඇතැම් ක‍්‍රමෝපායන් ගැන ඇය එකඟ වූයේ නැහැ. ඇත්තට ම යුක්තිය හා සාධාරණත්වය සඳහා කැරෙන හැම ජනතා අරගලයකට ම ඉතා වැදගත් වන්නේ මෙසේ විචාරශීලිව සහයෝගය දෙන බුද්ධිමතුන් හා කලාකරුවන්. ANC අරගලකරුවන් යටිබිම්ගත දේශපාලනය කරද්දී ඔවුන් සිය නිවසේ සඟවා අවදානම් සහගත ලෙස උදව් කළ ඇය ම 1994 මැතිවරණයෙන් පසු ANC බලයට පත් වූ විට ඔවුන්ගේ ඇතැම් ප‍්‍රතිපත්ති හා කි‍්‍රයාදාමයන් ප‍්‍රසිද්ධියේ විවේචනය කළා. දිගුකාලීනව රටට වැඩදායක එහෙත් ජනපි‍්‍රය නොවන සමහර ප‍්‍රතිපත්ති හඳුන්වා දීමේදී මැන්ඩෙලාට සවියක් වූයේ නැඞීන් වැනි විචාරශීලි හිතමිතුරන්. 1991දී සාහිත්‍යය සඳහා නොබෙල් ත්‍යාගය ඇයට හිමි වූණා. තවත් දෙස් විදෙස් සම්මාන රැසක් ලැබුණා. මේ වසරේ 90 වන විය සපුරන ඇය තවමත් යුක්තිය හා සමානාත්මතාවය වෙනුවෙන් හඬ නගනවා. මැන්ඩෙලා දකුණු අපි‍්‍රකාව යළි ගොඩ නැංවීමේ දුෂ්කර කාරියේ නඬේ ගුරා වන විට ඔහුට දේශපාලන කරලියෙන් පිටත සිට ඉතා තීරණාත්මක සහයෝගයක් දුන් තවත් දැවැන්ත චරිතයක් නම් කේප්ටවුන් නුවර හිටපු ආච්බිෂොප් ඩෙස්මන්ඞ් ටූටූ (Desmond Tutu). 1931 උපන් ඔහු බි‍්‍රතාන්‍යයේ දේවධර්මවාදය උගත්, කථාවෙහි හා විවාදයෙහි අති දක්‍ෂ කඵ ජාතිකයෙක්. 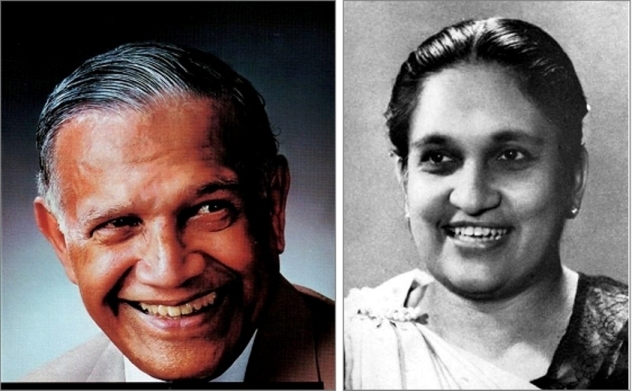 වර්ණභේදවාදයේ උච්චතම වකවානුවේ (1970 – 1980 දශකවල) ඔහු එහි ම්ලේච්ඡු ස්වභාවය බටහිර රටවලට මනා සේ පැහැදිලි කර දුන්නා. සමහර බටහිර රටවල් වර්ණභේදවාදී පාලකයන් සමග ප‍්‍රසිද්ධීයේ හෝ හොර රහසේ හෝ ව්‍යාපාරික සබඳතා පවත්වා ගෙන යාම ඔහු විවේචනය කළා. දකුණු අපි‍්‍රකාවේ නිදහස් අරගලය සුදු, කඵ, මිශි‍්‍රත හැමගේ අරගලයක් බවට දිගින් දිගට ම ඔහු හඬ නැගුවේ මැන්ඩෙලා නිහඬ කොට සිරගත කොට සිටින කාලයේ පටන්. පලිගැනීමේ හා වෛරයේ දේශපාලනයෙන් ANC පාක්‍ෂිකයන් මුදවා ගෙන සමාව දීමේ මාර්ගයට යොමු කරන්නට සාමයික හා දාර්ශනික මට්ටමෙන් ද ටූටූ ඉතා විශාල මෙහෙවරක් ඉටු කළා. සාමය හා සාධාරණත්වය උදෙසා අවිහිංසාවේ හඬ නැගීම වෙනුවෙන් 1984 නොබෙල් සාම ත්‍යාගය ඔහුට පිරි නැමුණා. ඩෙස්මන්ඞ් ටූටූ 1994 සිට බලයට පත් හැම දකුණු අපි‍්‍රකානු රජයක් ම නොබියව විවේචනය කරන අයෙක්. මැන්ඩෙලාගේ පස් අවුරුදු ධූර කාලයේ එරට සත්‍යය හා සංහිදියාව කොමිසමේ සභාපති වූ ඔහු, ඉනික්බිති සිවිල් සමාජ කි‍්‍රයාකාරිකයකු ලෙස මානව හිමිකම්, HIV/AIDS, කාන්තා අයිතිවාසිකම්, පාරිසරික ප‍්‍රශ්න, දුප්පත්කම පිටුදැකීම ආදී බොහෝ වැදගත් සමාජ අරගලයන්ට අනුබල දෙනවා. නෙල්සන් මැන්ඩෙලාගේ හා දකුණූ අපි‍්‍රකාවේ වාසනාවට මෙන් නැඞීන් ගෝඩිමර්, ඩෙස්මන්ඞ් ටූටූ වැනි සම්මානීය, නිදහස් මතධාරීන් ගණනාවක් වර්ණභේදවාදය පිටු දකින්නට හා ඉන් පසු නව දේශයක් බිහි කරන්නට ඒක රාශී වුණා. මැන්ඩෙලා දේශපාලන ගනුදෙනු කරමින් පාක්‍ෂිකයන් සතුටු කරන්නට ඇතැම් විට කෙටිකාලීන පියවර ගන්නට යන විට ඔහුව දේශපාලන මඩගොහොරු හා බොරු වලවලින් බේරා ගත්තේ මෙබඳු විචාරශීලි සහෘදයන්. රටක් හදන්නට සැබෑ ජන නායකයන් පමණක් නොව ඔවුන්ට විචාරශීලීව පන්නරය දෙන එඩිතර බුද්ධිමතුන් හා කලාකරුවන් ද අත්‍යවශ්‍යයි.